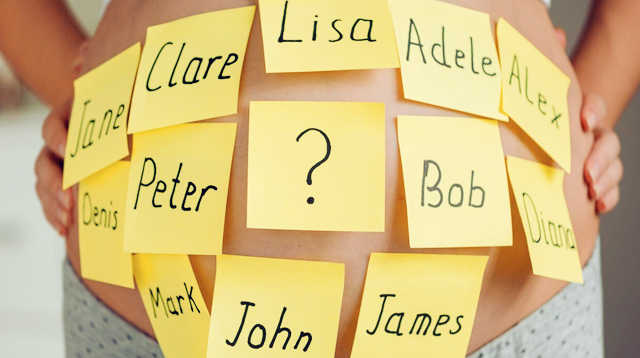 Doing shoots every month may seem tedious, but you’ll be surprised how creative parents can get, especially when it comes to choosing a ‘theme’ for their photoshoot. 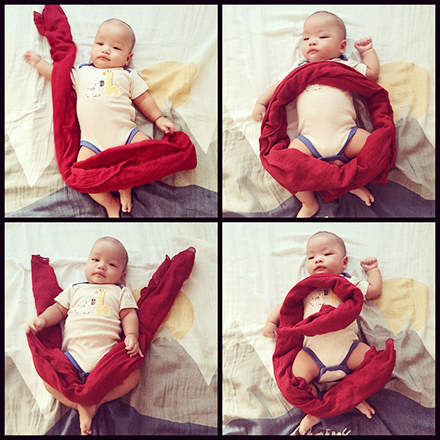 All you really need is a little bit of imagination and you can easily use whatever’s on hand to create a unique setup for your baby. 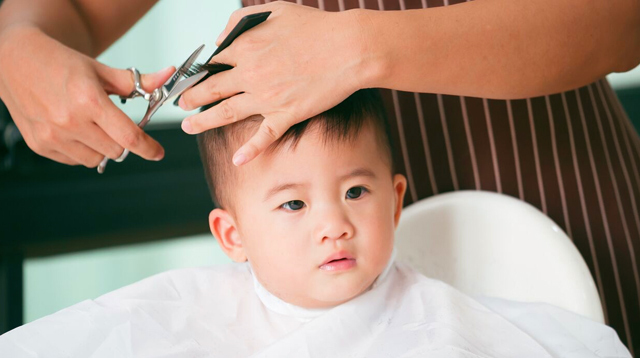 Maybe what you’ll need to worry about is your little one cooperating! 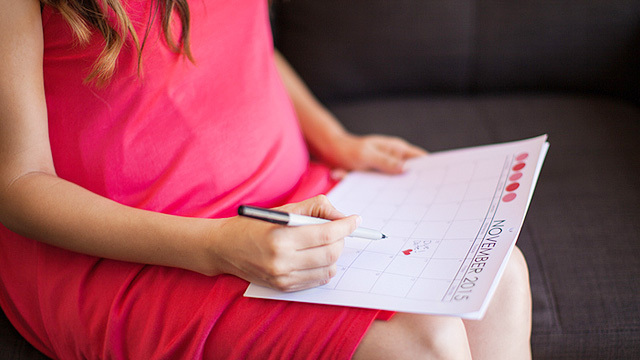 Planning to document baby milestones each month? Find inspiration here. 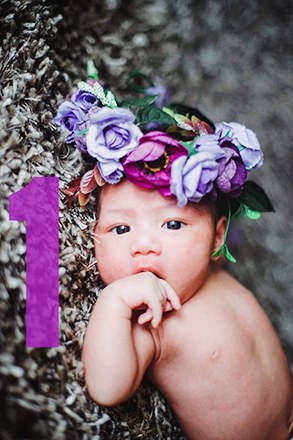 A close up shot and a flower crown were all mommy Janelle Dela Rosa-Moral needed to document her daughter Amara’s first month. She shares, "Momma was so excited that I bought costumes and other stuff for the shoot but ended up using the flower crown only. Well, less is more!" Would you look at those piercing eyes! 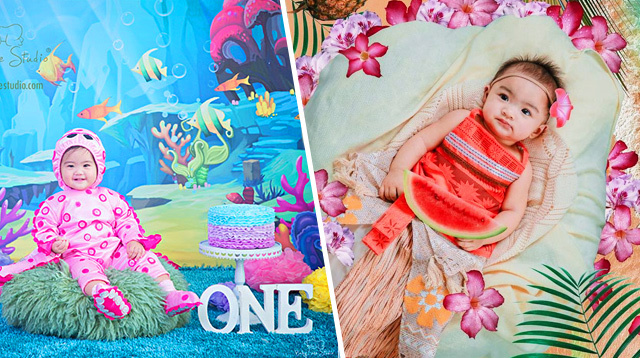 Flat lays (where the photo is taken from above) are a popular choice for monthly shoots, because baby is usually asleep or lying down when it happens. Maricel Ladringan-Asañon’s inspiration? Doing the laundry on a sunny day! She used a rope and clothespins to ‘hang’ her daughter up for drying. Super cute! 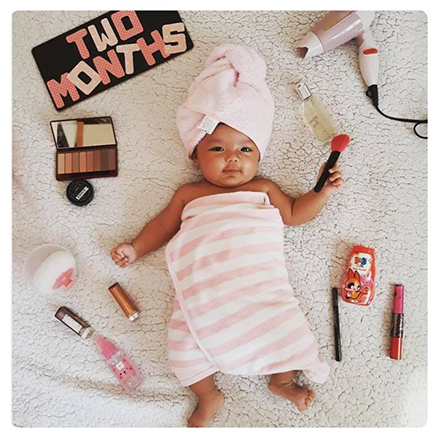 Use your kikay kit and put your makeup on display with baby. It’s so easy to DIY! Mom Ruby Perey-Cruz said she got this idea from Pinterest. 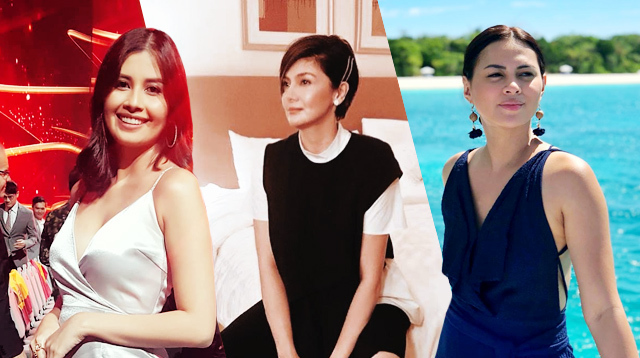 Her daughter Elisse looks so refreshed! Like we said, source your props from what you can see in the house! Fruits and vegetables all make the perfect backdrop for your shoots! 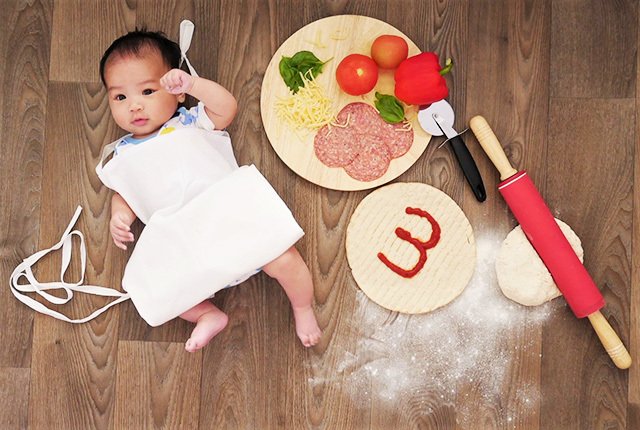 Mom MJ Macazo said she and her husband acted on their pizza craving and used it as an inspiration for their photo shoot. 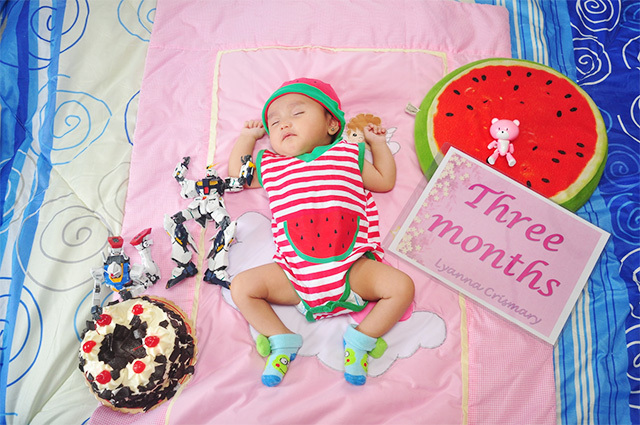 Apart from the matching watermelon on baby Lyanna and her pillow, the real highlight here are the Gundam Wing action figures — one is trying to get a cherry from the cake! 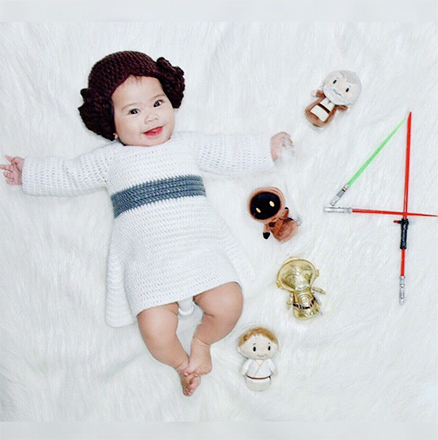 Lyanna's mom, Corine de Silva-Villanueva says that her husband is a toy collector and dabbles in toy photography. That's why the action figures seem to come alive in the photo! "Paglaki daw ni baby gusto niya 'yun ang playtime nila. He's planning to buy some toys that they can build and play together," Corine shares. Aww! Channel your favorite TV and movie characters. 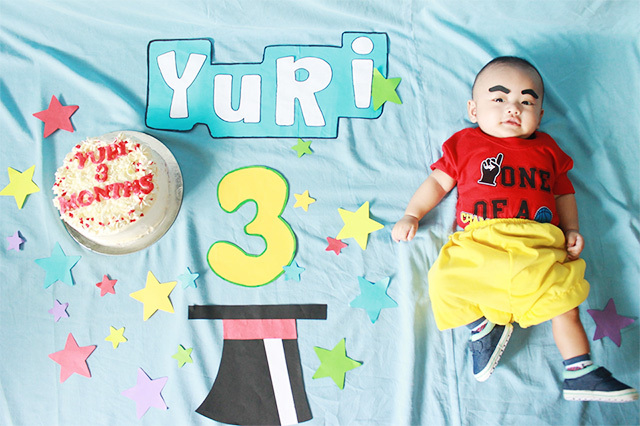 Their son Yuri nailed Shin Chan’s signature eyebrows. Too funny! Use your kids’ toys and pillows! 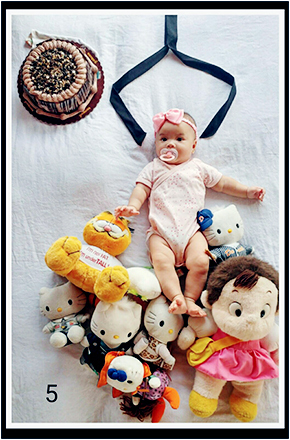 We love mom Karina Villaruel’s idea for her daughter Alexandra’s fifth month. A toy crane! Super easy to set up, too! 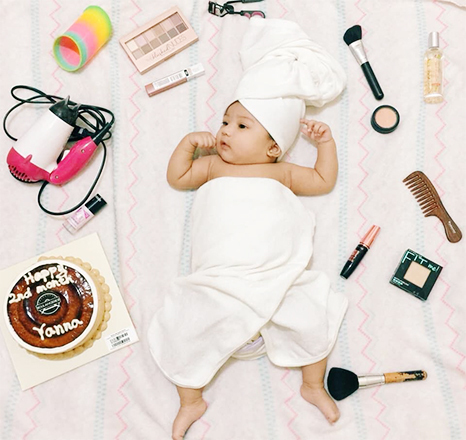 New mom Angelica Dacer-Tiburcio shares that her monthly themes are based on different careers they envision for their daughter, Hannah. 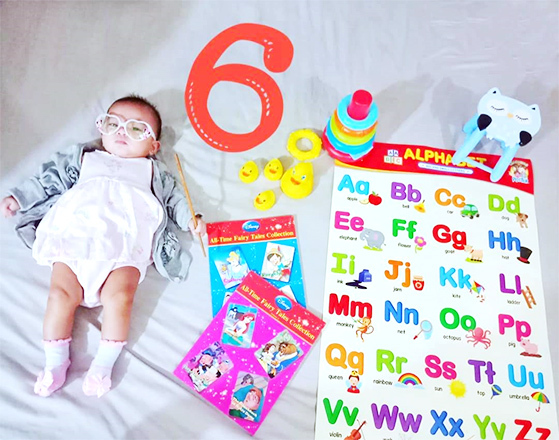 For her sixth month, they thought of her as a preschool teacher! Take your kids to the beach! Literally and figuratively, as these two photos show! 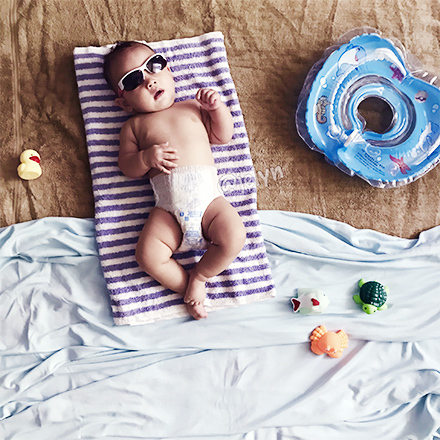 Jelyn Reyes was inspired by the summer season so she took the beach to her son, Evo. We’re definitely feeling the vibe! 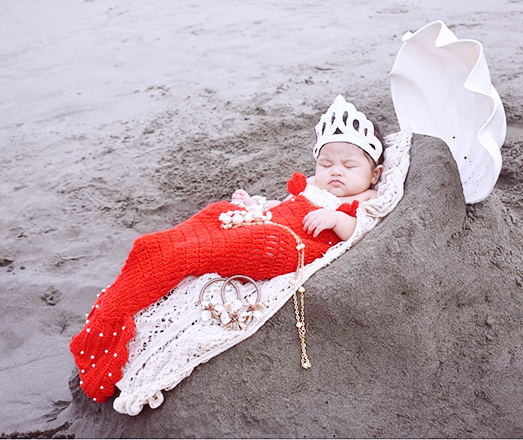 Niña Argallon took her baby Martha on her first beach trip and decided it was the perfect location for their photoshoot. She fashioned a crown from an old headband and used her old accessories to make the look authentic. The shell is actually a fruit tray! 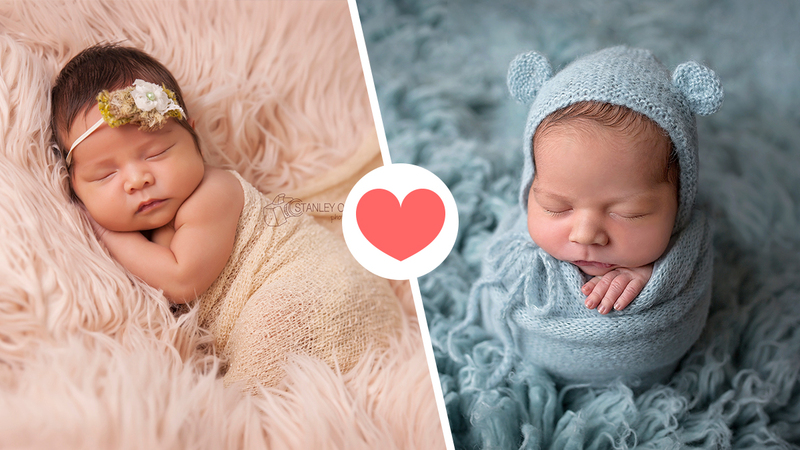 We love that the baby is sleeping soundly while this shoot was taking place. Maybe the 'waves' lulled her to sleep? Be inspired by your own experiences. They had already gotten swimming, softball, basketball, and running out of the way and on baby Rly’s fifth month, they set the shoot up for lawn tennis. 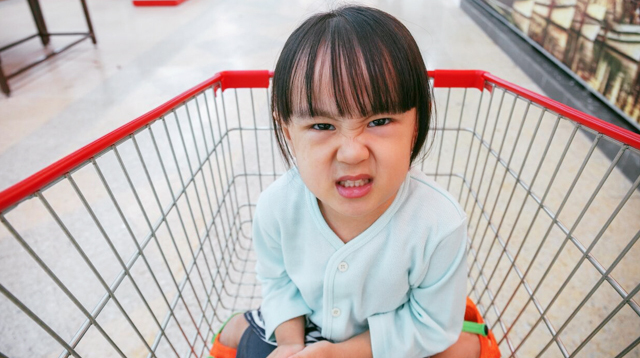 “But after dressing her up, she pooped… and peed! It was a mess!” Thankfully, since she already planned the shoots in advance, she had an outfit on reserve. Tada! 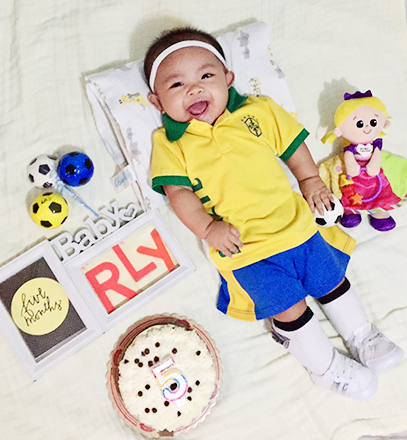 A futsal theme for her fifth month! Shela Sacro suffered from a miscarriage so her daughter Amari is their rainbow baby. 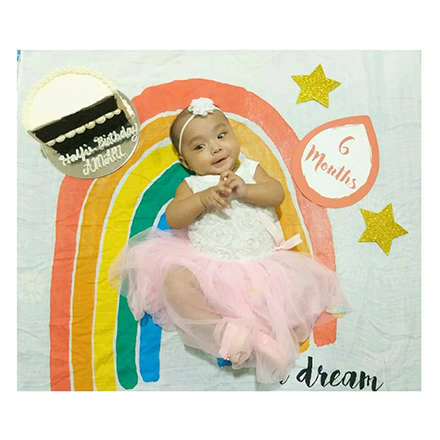 This rainbow backdrop is what they use every month to celebrate her milestones. Baby Amari is also a preemie! Truly a little warrior and a dream come true for her parents! Let your baby do the talkin'. 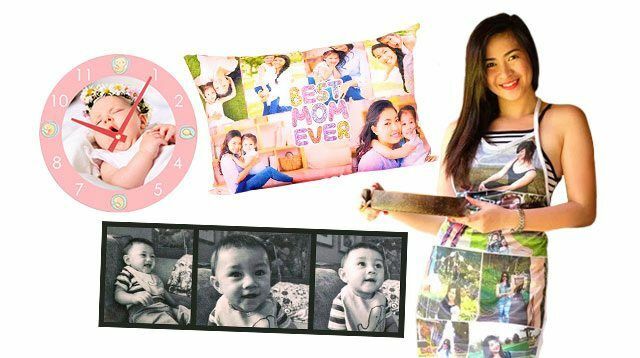 Mommy Iyah Gagarin says that while she may not be into art and only takes monthly photos to see how much her baby has grown, it's her little one's smile that can make the heart full. We agree! Who can resist this cutie? 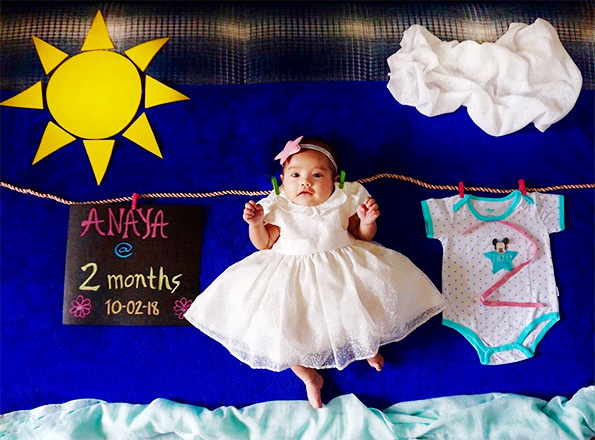 When it comes to their babies, parents prove they're willing to go all out just to get a memorable shot. 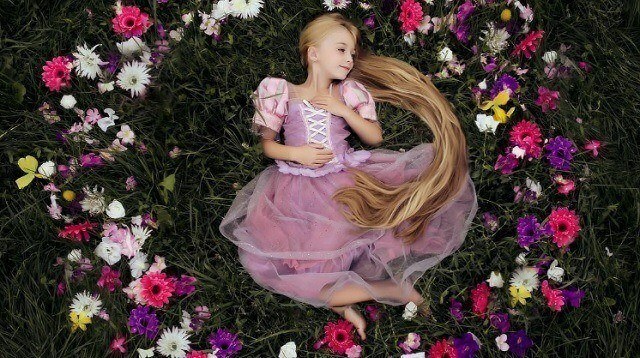 If you've had your own unique photoshoots, email us at smartparenting2013@gmail.com — we'd love to get more ideas and share it with our readers!